Please complete this form in its entirety. Payment information for the $150 application fee must be included in order to submit. Please note that every field on this form is required and form will not submit unless completed in its entirety. Applications will only be considered with the additional completion of the Student Questionnaire and the Student Contract . I certify that the above information is acurate and authorize Bais Menachem to contact the above educational institutions to verify attendance and performance. 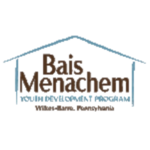 I agree to allow Bais Menachem to charge my card a $150 application fee with submission of this form.